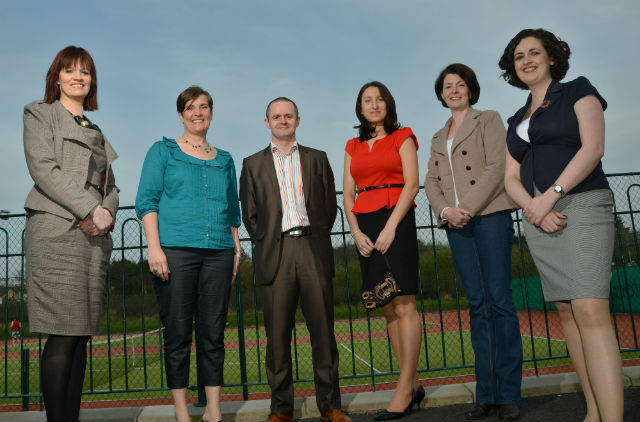 Mayo Intercultural Action has secured further funding to continue its GROW: Women In Business Programme. The GROW programme - Growing Real Opportunities for Women is an EU funded programme run by Mayo Intercultural Action, providing supports for women to set up their own businesses. Over the past two years, women from throughout Mayo have availed of training, mentoring and advice to support them to develop successful enterprises. Following on the success of this innovative programme to date, MIA has been allocated a further €33,152 to continue the programme until November 2012 and recruitment will now begin for this new phase of GROW. Pictured at the GROW Business Enterprise seminar at the Castlebar Tennis Club are Breda Murray from South West Mayo Development Company, Therese Ruane from MIA, John Magee from the County Enterprise Board, Berenika Wopjciechowshe of GROW, Rosaleen Molloy of GROW and Olwen Dawe of Network Ireland. Photo: Alison Laredo. "It's really welcome that our bid for EU funding to continue this invaluable work has been successful. Over the past two years, our work with women participating on the GROW programme has proved hugely successful in supporting women setting up businesses here in Mayo. Many new businesses are now up and running and span a broad range of areas and sectors such as: IT and internet businesses; tourism ventures; hairdressing; craft sector; agri-food businesses; retail shops; clothes and alterations businesses; health and life coaching; health-care industry, etc. Others on the programme are well on their way to establishing their enterprise and growing their business idea. It's small and medium enterprises like these that will put Ireland and Mayo back on it's feet again and that will provide much needed sustainable employment into the future. Every effort and support must be in place to foster female entrepreneurship and it's programmes like GROW that is making a real difference. "Women's contribution to the economy and female entrepreneurship is often over looked. Women who participated on this programme are highly motivated, talented, creative people with a wealth of knowledge, ideas, and experience and have so much to offer to get the economy going again here in Mayo." The continued support from Mayo County Enterprise Board, GMIT Innovation Centre, South West Mayo Development Co; Mayo North East Leader Partnership Co, Le Chéile Family Resource Centre for this programme is really appreciated and we look forward to working with them for the next phase of GROW." We will be holding information evenings throughout the County in June for women who would like to participate in the next phase of this programme from July to November. If anyone has any queries re the GROW: Women in Business programme, feel free to contact Thérèse Ruane at 086 3483414 or truane1@eircom.net. If you're a woman out there with an idea for a business, GROW is your opportunity to grow that idea into a successful enterprise."